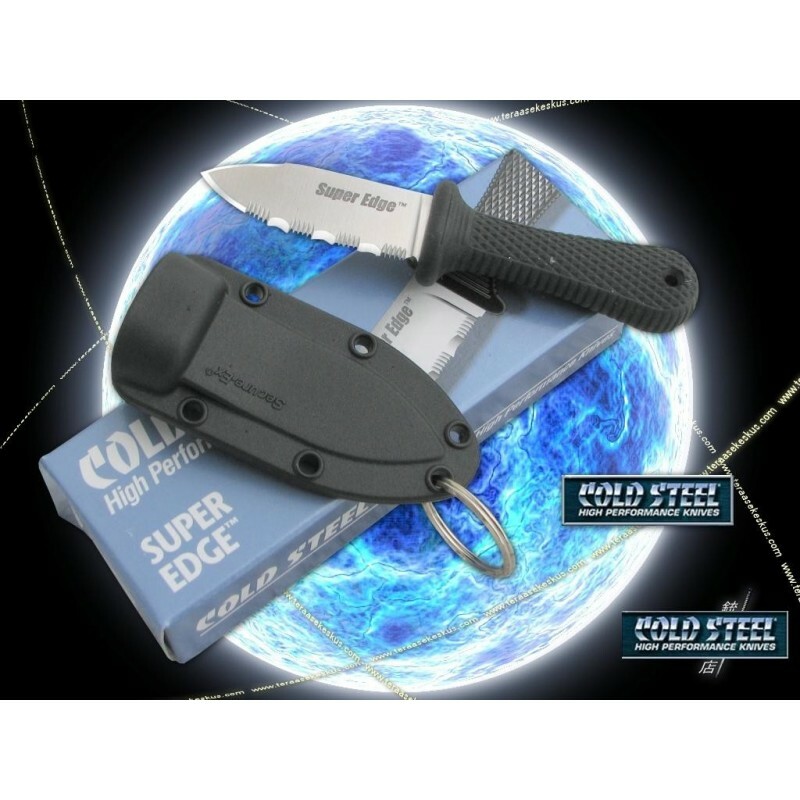 Cold Steel Super Edge. 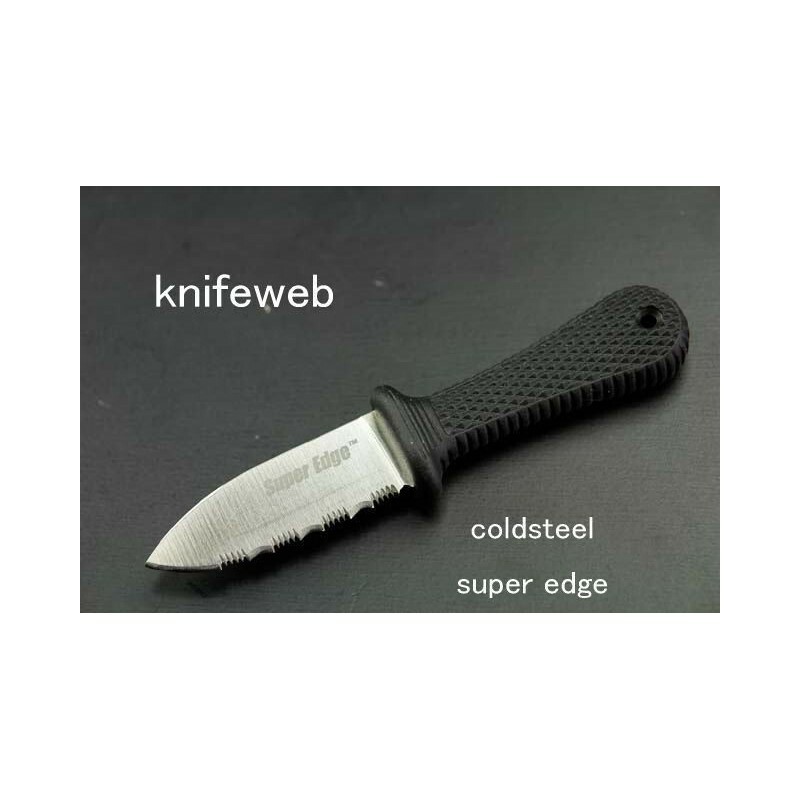 4 1/4" overall small fixed blade utility knife. 2" AUS-8A stainless serrated blade. 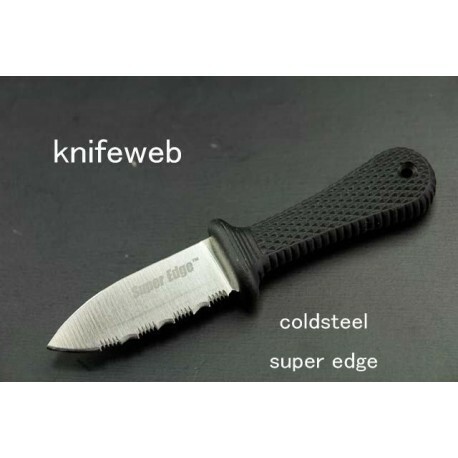 Black Kraton handle. 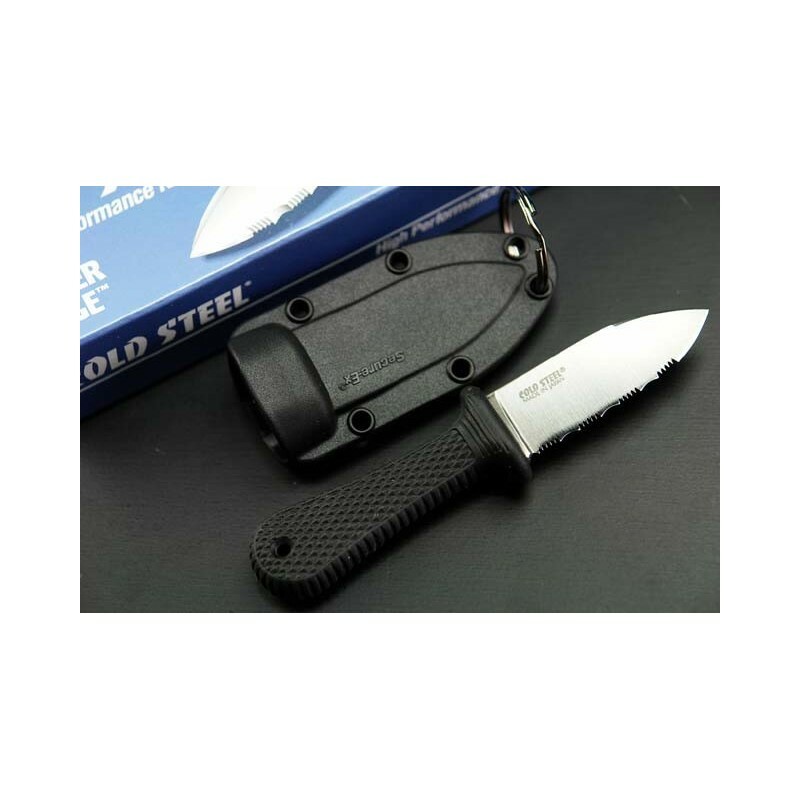 Secure-Ex sheath with keyring.